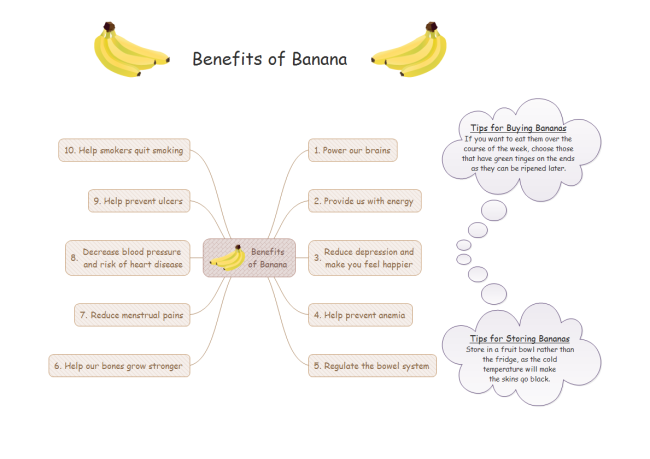 Description: See what are the health benefits of bananas in the mind map. Presented are some tips to enjoy bananas. This is a simple mind map example created by Edraw Max, which is available in different formats.